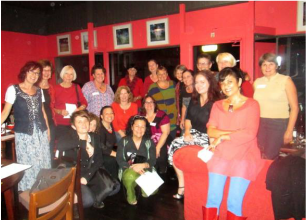 Last gathering, the Women Howling at the Moon collective began exploring Befriending Our Inner Critics. Befriend and allow my inner critic to come from love. Stop worrying about revealing myself. What would YOU have said you'd want to do differently, in order to step into your potential? How helpful it would be for you to have a community of likehearted women who really get you, who know your true possibility and who are a stand for you to have the result you want? That's what Women Howling at the Moon is for each other. If you missed the last event, don't miss the next one! Do you often say YES to other's requests even when it will cost you your own health and wellbeing? Do you consider yourself last? Does your Inner Critic say you mustn't say No? and be inspired and delighted by your own and others' stories and visions. Learn the fine art of saying No when you need to - so you can say Yes more often to what really matters! Enjoy a fun activity where we'll all gently practise saying No. Gain a new take on what's in the way - and what's possible. Find new freedom when you have healthy happy boundaries! a community of strong women backing you - and who know and reflect back to you your greatness. 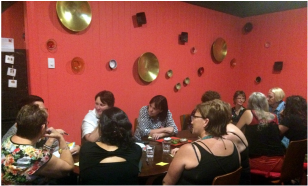 If you'd like to be part of this enabling community and gathering, the next event is in Brisbane on Friday 19 August. 6.00 pm - 9.30 pm, Friday 19 August. Join a network of strong, wholehearted, outside-the-box professional and activist women who are passionate about a just and sustainable world. ★ Be the change you want to see. The venue may vary over the year, so do check the automatically updated calendar, or the website or newsletter for details. Or contact Chris directly. Currently the venue is Union St Cafe, Union St Spring Hill Brisbane.